SIMI VALLEY, California — Texas Governor Rick Perry emulated the late Ronald Reagan as he addressed a sold-out crowd of 1,000 at the Ronald Reagan Presidential Library in Simi Valley, on the 50th anniversary of one of the most pivotal and monumental speeches in American political history. “A Time for Choosing” was delivered in 1964 by Ronald Reagan, who would subsequently become governor of California and go on to be the 40th president of the United Staes of America. On Monday evening, Governor Perry remembered Reagan by delivering a powerful speech of his own–and providing a glimpse of what is to come should he seek a second run for president in 2016. 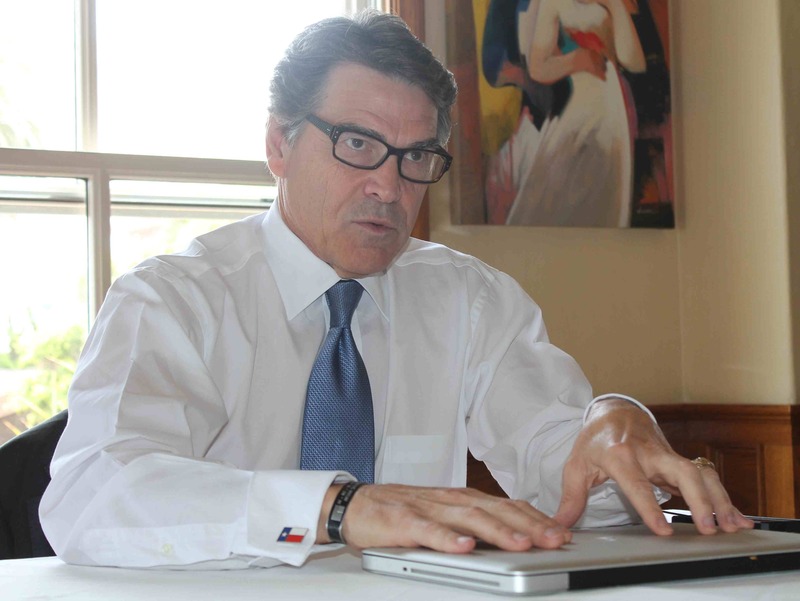 Like Reagan, Perry had first been a Democrat before switching over to the Republican Party. “The greatest problem of all is that in the face of these troubles so many serious challenges, we don’t have the leadership to deal with it. We are experiencing a crisis of competence in America, and the people know it,” he exclaimed. The audience roared with applaus–as they would several times throughout Perry’s nearly hour-long speech. “I may not run for the presidency in 2016,” Perry said with a response of stunning disapproval from the audience. “But if I don’t, the reason I don’t run is not that I’m not prepared. I will be prepared.” He spoke with charisma and seemed to connect naturally with the audience as he addressed economics, foreign policy, and national security concerns. Much of Perry’s speech was addressed to foreign policy. He said that despite the Bush administration’s highly-criticzied initial move to enter Iraq in the first place, the Obama administration’s subsequent decision to withdraw troops prematurely from the highly-volatile region was an even greater miscalculation and error. “It is worth pointing out that the rise of ISIS can be directly attributed to the neglect of the President [Barack Obama]….The president chose a popular path without concern with the ramifications,” Perry declared. He noted that “a senior advisor to the president of Iran called Obama the weakest of presidents. The point is not that they said it but that they believe it. When malignant forces believe America to be weak, that is lethal,” Perry said. The reaction to Perry’s speech has yet to be seen, but will likely unfold over the course of the next few months. “We have indeed come to our own time for choosing,” Perry reiterated. He may hope, come 2016, to be chosen himself.